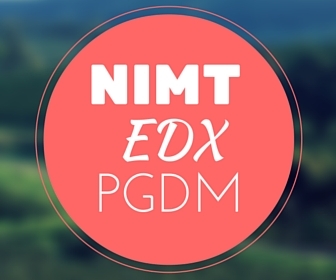 National Institute of Management and Technology’s distance education branch named NIMT edX is the one stop destination for students who want to complete a degree or diploma in various courses while sitting at the comfort of their homes. It is the ultimate learning tool and uses a lot of high end technology equipment to ensure that students absorb a rich learning experience. The edX branch provides online live sessions along with carefully designed modules to support online learning. There is a significant decrease in the college drop outs due to the inconvenience caused by online learning tools as edX is specially designed to aid the students in the most interactive way possible. The National Institute of Management and Technology's online learning branch helps the student to gain interest in what he or she is learning as the medium employs discussion platforms which are course specific and this helps in effective solution of the problems. The problem of lack of motivation too goes down and the students can participate more freely to discuss their problems and look for the answers to their queries. These intellectually enriching discussions with the mentors help in holistic development of the student and they can have access to the study material at any point in the day. The method of evaluation of the learning process is quite simple too as the students can get their hands on real time reports of how they have performed in the bar charts that are created by the tool. The progress is thus mapped carefully and the students can keep a tab on themselves on a regular basis so that they can know what is lacking where. The assignments are displayed on the x axis on the bar chart and thus it tells you about the marks scored in the subject. Students are also free to ask their queries from any section and ensue a discussion on it. The teachers try their level best to make the platform more engaging for the students. NIMT Greater Noida offers a program titled Post Graduate Diploma in Human Resource Management which a two year full time program approved by AICTE, UGC and DEB. The aim of the program is to help the students with the skills and knowledge about managing human resource which in turn helps in contributing towards development of individuals and organizations. Some of the vital areas of focus are Human Resource Information Systems. Performance Management, Human Resource Planning, Compensation Administration, Performance Management, Selection, fostering harmonious employer-employee relationship. The major thrust areas are Human Resource Planning, Human Resource Information Systems, Selection, Performance Management, Training and Development, Compensation Administration and fostering harmonious employer – employee relationships in the framework of state regulations. The course is of minimum 2 year duration and can extend up to 3 years maximum. There are in a total four semesters of six months each. The PGDM program in Operations Management is offered by NIMT Greater Noida and is a 2 year full time course recognized by AICTE, UGC and DEB. Under this program, strategic, tactical and operational levels are covered. The purview extends to the designing and management of products, services, process and supply chain areas. The procurement, development and the way by which resources are utilized in a company in order to cater to the demands of the goods and services by the department, all these come under the program. The curriculum is specially designed keeping in mind the current demands of the company and the motive is to stay one step ahead of it. This will give learners the required knowledge, vantage and expertise along with the development of the skills so that they can be valuable for the firm in future. The course is of minimum 2 year duration which can extend upto 3 years and has been divided further into four semesters of six months each. The program is offered by NIMT, Greater Noida and is a two year full time AICTE, UGC and DEB approved program. 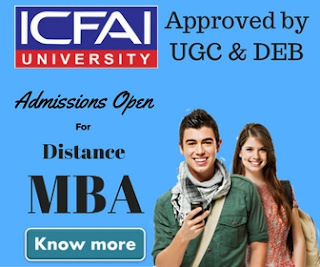 Post Graduate Diploma in General Management is an international business program and the course curriculum for it has been thoroughly designed to match up with present day’s dynamic business environment and tackle the globally charged challenges as well. PGDM in General Management or International Business focuses on providing an in- depth and comprehensive coverage of all kinds of disciplines under the arena of International business activities like Global Finance, International Human Resource Management and International Marketing. 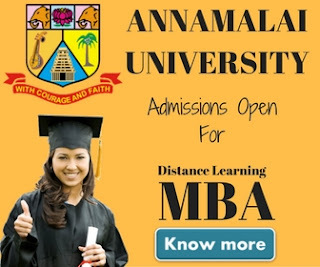 The students will also gain extensive knowledge on industry specific courses like Export-Import Management, International project management, International Marketing etc. The course curriculum is an heterogeneous blend of case studies, research, theory, international study programme. The balance of conceptual and practical knowledge makes the program an enriching experience for the students. The course structure is specifically designed to aid students in understanding and getting an insight into the complexities of business operations internationally and at the same time help them expand their knowledge base in order to deal with the complexities of the market. An intensive training is provided to the students to help them track the opportunities in the areas and explore them. The course is on a minimum of two year duration and can be completed within three years. It is split into four semesters of six month duration each.